Google Products has required attributes (fields) for a product. If a required attribute is not provided, the product will generate an error message and not be listed. If you get this error from Google, view your feed to see if you are missing information in the description field. You can click on the Export link from the "More Actions Menu" at the top to get a copy of your feed for review. 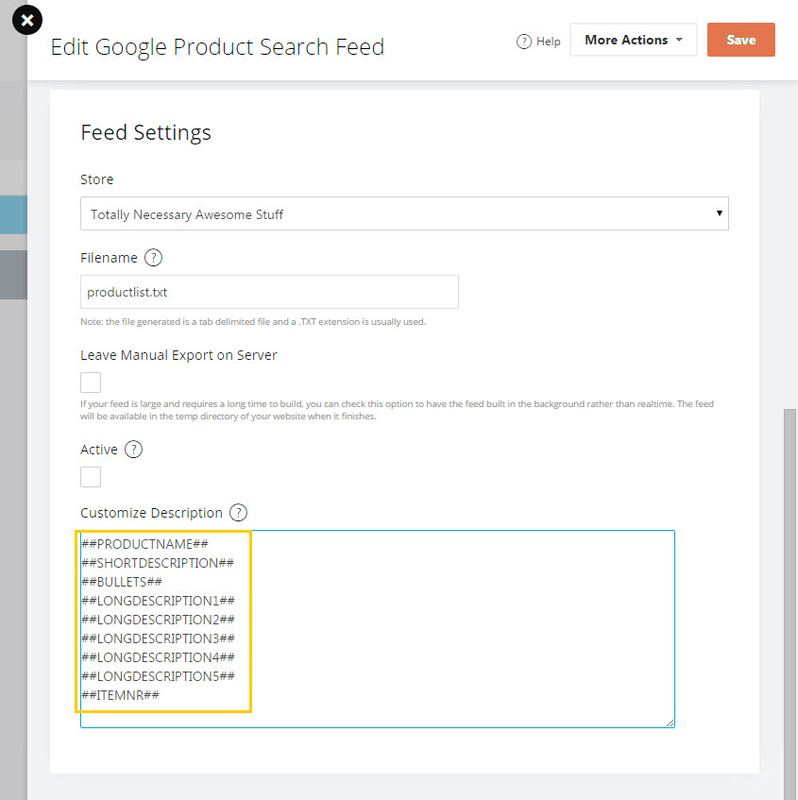 The description field of the feed pulls information from Short Description + Long Description1. If you have a product that doesn't have data in these fields, Google does not list the product. Google will also generate a "required attribute missing" error. Solution: Use merge codes in the Customize Description area to choose what populates the description field. 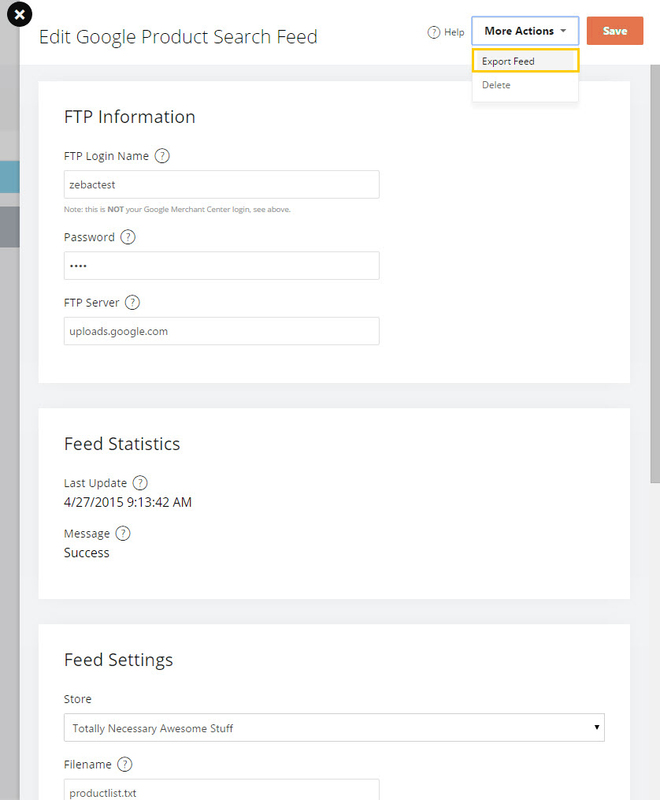 This gives you control over data in the description field of the feed. You can use the above merge codes to define what populates the Description field. We recommend using a few different merge codes, ensuring something populates in the field. IMPORTANT: Adding merge codes in the Customize Description box will override the Short Description + Long Description1 setting. If you want to use Short Description and Long Description1 as well, please add the merge codes in the Customize Description field as well.